I don't have parents. I have Mira. Clare: Think about your parents. I bet there's not a single day that goes by that they don't regret giving you away. Spencer: I don't have parents. I have Mira. 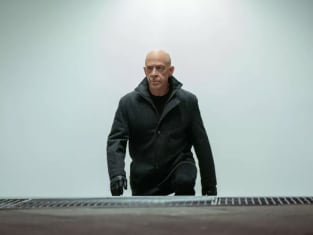 Counterpart Season 2 Episode 10: "Better Angels"
Spencer: This world doesn't fight fare. If we don't destroy them, they'll destroy us. Clare: You're wrong. You know how I know you're wrong? Because I dream about her, my other. I keep seeing this little girl, one whose life I envied and hated, but I've been taught to believe that this existence of this other world is an aberration of nature. But what if this is nature's plan, and the real test isn't if we could eradicate this other side of ourselves -- what if it's about acceptance? I just wanted to protect my wife. Permalink: I just wanted to protect my wife.